When my spouse took a new job, he suddenly had spare time – and zero idea what he wanted to do with it. I had been thrifting and repurposing and Forklifting for ages, and I asked him to peruse Freecycle for something I was looking for. Suddenly he had more than a hobby – he was addicted, too. Our house is tiny, and filled to the brim, so we scraped the cash together to buy a tiny cottage as a short sale in Calvert County, Maryland, as an oasis, a hobby, and something we could share with our daughter. The tiny 750-Square-foot space is 65% finished (we started March 1). Nearly everything is Forklift, thrift, Craigslist, Freecycle, or from generous neighbors on Capitol Hill. I’ve been trying to track progress on Instagram (@freecyclemagazine) and my blog. 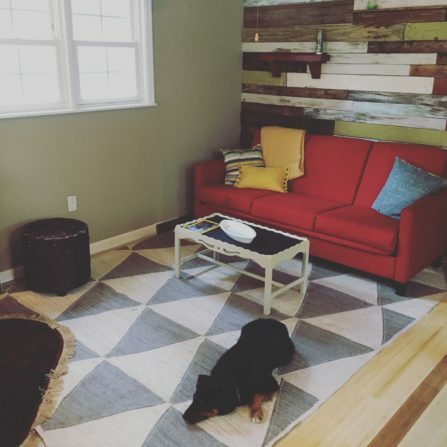 Once we went under contract, my sketches and Pinterest board went into overdrive. Dan started collecting and scouring the listserv, alleys, and Craigslist. I went shopping at thrift and resale stores. When we closed, it was on. It’s my opportunity to try everything I ever wanted to with texture, color, materials, and it has been magical. And the adventure of DIY and reuse has been incredible. Spouse is in charge of procurement and demolition, and I am in charge of construction and design. 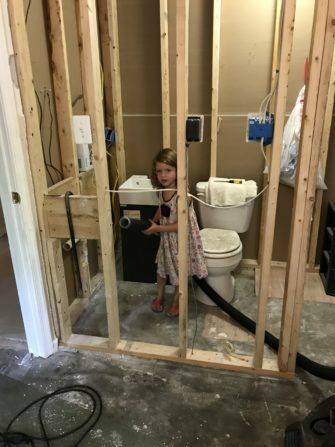 We have a good friend who can do almost everything, and he has donated dozens of hours to the cause in ensuring safety, plumbing, and electric. 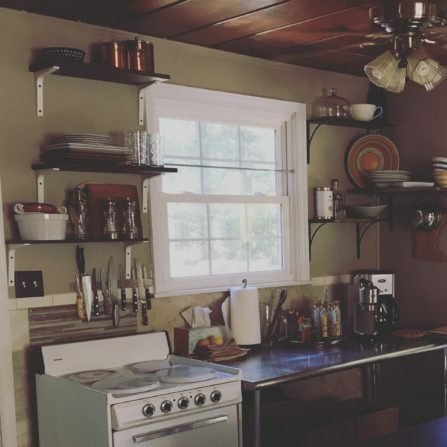 I have been learning as I go, making so, so, so, so many mistakes – but I am improving so much at hammering nails, tile work, and finding studs! 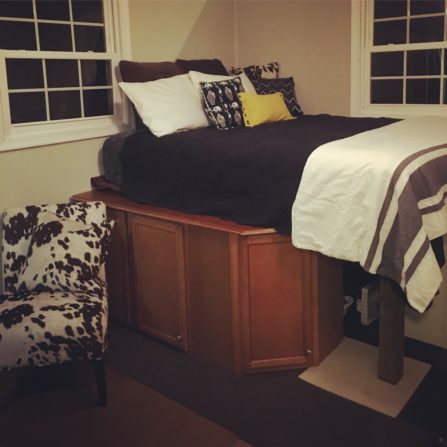 We have used approximately 80 percent salvaged materials and spent about $4,000 on the project so far (about $5 per square foot). We have one bathroom to finish (all the tile is in the shed, all from Community Forklift. It will be my 2018 entry!). Essentially, this is a project that is about the process as much as it is about the finished work. We have a space to enjoy in solitude or together. We have hobbies that suit us – productive and interesting. We are a short walk to the Chesapeake for our doggie to run and our 5-year-old to hunt seashells and splash around. And teaching our daughter to use the nail gun or paint a wall or pick out the Phillips screwdriver from the toolbox is so much fun. 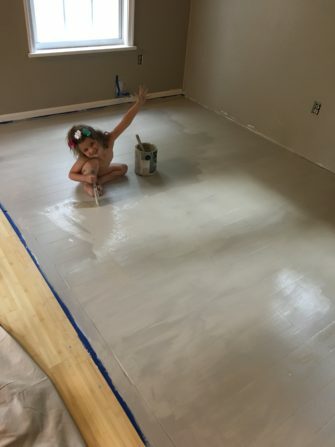 She will be the next DIY addict in the family, for sure! We are still waiting to hear who the 2017 national winners are, but you can see the entries of past Forklift winners here! The submission form for 2018 is not yet live, so check back later in the year if you have a project you might like to submit. They say that the greenest building material is anything that’s being reused. We urge you to consider using salvaged or surplus materials for your next home improvement or creative project, and make sure you document your progress with lots of photos along the way!